The Pragjothish, the ancient name of Assam, literally means �Eastern city of Astrology�. This land was famous as the centre of astrology in the past. Though this tradition has disappeared by the passage of time, two temples stand as a testimony to that glorious past even now. One is the Navagraha temple at Chitrachal and the other is Suryamandir at Surya Pahar near Golapara. 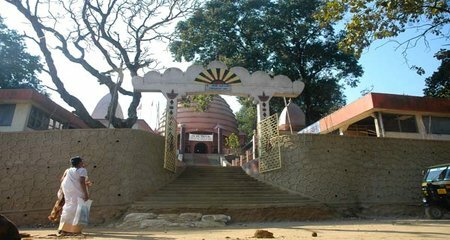 The Navagraha temple of Guwahati is on the top of Chitrachal or Navagraha hill. One has to climb few steps to reach there. Here nine Shiva Lingas, arranged in a circle, is worshipped as Navagraha. Each Linga is identified with a matching colour cloth assigned to a particular Graha. The present temple dates back to the 18 nth century AD. The temple is easily accessible from the Guwahati city.